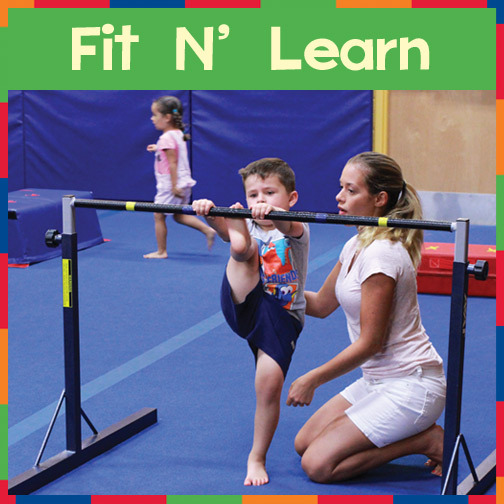 2-3 years: FIT N LEARN, our drop off class, was designed for children who are becoming more curious about the world around them. Their language, cognitive, fine & gross motor skills are growing every day. This program is a great opportunity for small children to spend quality time meeting new friends, having fun & encouraging those skills. Twice a week the children will experience and explore a new theme, which will be reinforced within the class curriculum. Children will interact from the moment they walk through the door with songs, stories, finger plays, games, instruments, activities, or art. Children will enjoy interacting with other children their age, as they learn & create in a safe, nurturing environment guided by an experienced teacher.